MILOVICE, Czech Republic -- Twenty-five years ago it was a military zone where occupying Soviet troops held exercises. Today it's a sanctuary inhabited by wild animals that scientists hope will improve biodiversity among local plants as well as save endangered species. 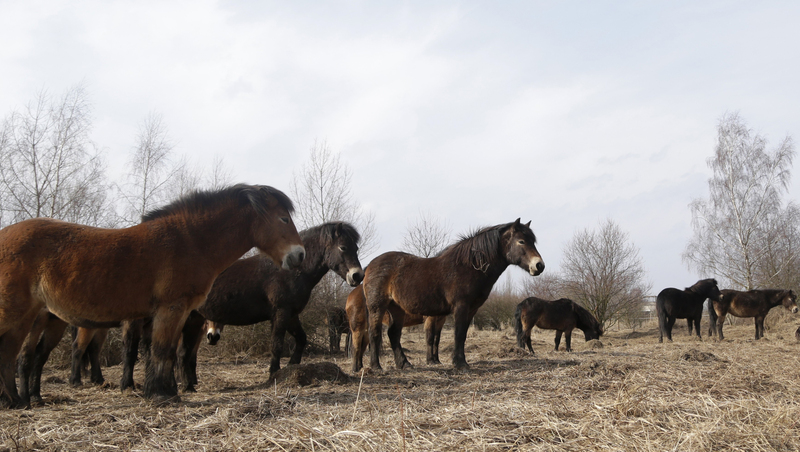 After an acclimatization period at a small enclosure, the horses were released Saturday to a 40-hectare (99-acre) area. Their task is to stop the spread of aggressive and evasive grasses - including bushgrass - that are delicacies for them. The invasive plants began to grow after Soviet troops withdrew in 1991, threatening the area's original plants and animals. A stallion will join the mares in April.